Of course, this doesn’t mean that you automatically get a great family life simply by living here. Taking good care of your family requires making sure that you have a comfortable and cozy house in which to live. And that’s where we can come to your assistance. We offer excellent heating and cooling in Burke, VA and have since 1998. We’d like to think we’re part of the reason that Burke scores so high as a quality place to live. 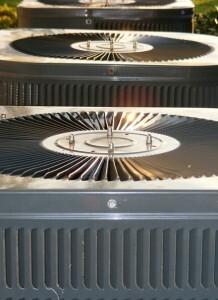 Dehumidifier installation: Here’s an extra tool to beat the heat and cut down on air conditioning bills. A whole-house dehumidifier makes it easier to tolerate high temperatures indoors, lower your use of the AC, and prevent issues with mold and mildew. Put in a new thermostat: Do you have one of those old thermostats that runs off sliders and dials? Or a digital thermostat that can’t do anything except just adjust the temperatures up and down? Putting in a new thermostat with special features, such as programmability or “smart” programming (the thermostat does the work for you! ), will help your AC run more effectively and efficiently. UV lights: These installations are not just to improve air quality by removing germs, viruses, and mold spores. They also clean off the evaporator coil of the mold that can accumulate along it during a humid summer. Eliminating this mold means a better-working air conditioner. Install a new AC: This is the biggest job that we can do for you, and if you have an air conditioner that is more than 15 years old, it’s definitely something you should consider. There are many options for a new high-efficiency AC that will mean a significant drop in your bills. You could also have a heat pump installed, which takes care of both your air conditioning and If you’re doing remodeling, or want to stop using dusty ductwork, we can have a ductless mini split heat pump installed. Call us to find out more ways that we can upgrade your air conditioner. Oasis Heating, A/C & Refrigeration: Quality Assured since 1998! We’re family-owned and operated and offering great HVAC service through all of Northern Virginia.